"Betsy" is owned by Andy Bolle . Betsy finished her career as a school bus in Alice Springs. Upon retiring she was converted into the Motorhome she is today, back in 2001. Not only was the old girl converted inside, she was completely overhauled underneath as well. She still runs a Bedford 500, which is a reconditioned engine from Southcotes in SA. I'm the third owner and I added my love by upgrading pretty much all the house components and added a stonking solar system. I consulted Gavin on this process and he guided me so helpfully in all the aspects of the retiring, fusing, setup..the lot. I learnt so much from the process. It meant that Betsy ended up with an enviable power setup. I'm quite proud to say I've never used more than the top 20% of my batteries ever, even then I rarely even get close to that. I've decided to sell Betsy, as it's time for a different life choice for me. Originally there was Marie, myself and Monty the poodle. Whilst I'm happy about the breakup, I'm no longer wanting to journey in my big ol' bus. I'd really, truly love it if a couple fell in love with the old girl and continued to look after her as she so deserves it. 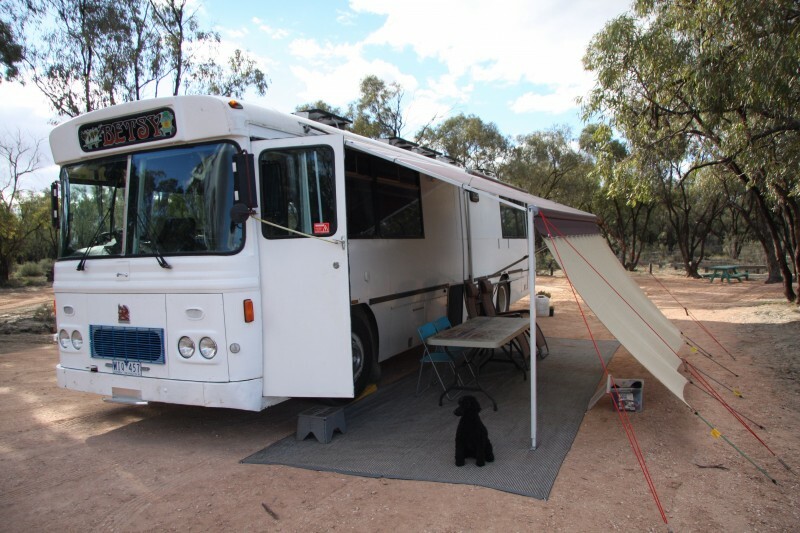 She is advertised on Caravan Camper Sales, look for 1978 Bedford B4 Motorhome. I'm a traveller I guess, although I also enjoy having a home base. I've gone through many, many transitions in my life. Never one to sit still for very long, always stretching into new careers, adventures and lifestyles. It's nature that I love, and freedom of spirit that I crave.